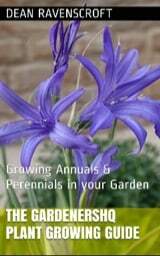 Guide to Growing Winter daffodil, Yellow Autumn crocus, and Lily-of-the-field. 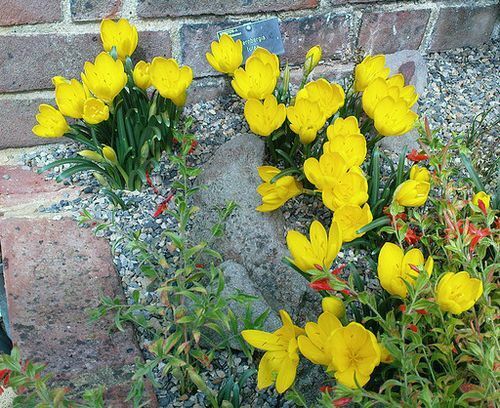 The Sternbergia genus are grown from hardy bulbs in the garden and are able to reach about 15 cm in height. Common names finclude Winter Daffodils and Yellow Autumn Crocus; visit here for information on how to grow daffodils. Sternbergia bloom in the autumn with Yellow or White crocus-like flowers. Common Names: Winter daffodil, Yellow Autumn crocus, Fall daffodil, Lily-of-the-field. Native: Mediterranean, and Central Asia. Growing Region: Zones 7 to 10. Zone 6 as an Half-hardy bulb, provide shelter. Flowers: Autumn (except for Sternbergia vernalis and Sternbergia candida which flower in late winter/spring). Flower Details: Gold/yellow, white. Fragrant. Goblet-shaped crocus-like flowers. Foliage: Grey-green, deep green. Strap-like. Clump forming. Growing Outside: Usually grown from bulblets or propagated by division. Seeds: Cover seed. Late summer. Germination temperature: ~63°F (17°C). Bulbs: 4 inches (10 cm). End of summer and autumn. Space at 4 to 6 inches (10—15 cm). Requirements and care: Full sunlight or partial shade. Good drainage. Fertile soil. Gritty. Regular watering in the growing season. Maintain a dry soil while dormant. Tidy up leaves once they have completely withered. Once established do not disturb for four years. Then can be propagated by division, but it is better to plant out bulblets in the autumn (or spring in colder regions). Miscellaneous: Genus named after the Austrian botanist Count Kaspar von Sternberg. Sternbergia plant species such as winter daffodils can be grown from seed, but are more often grown from bulbs. The winter daffodil bulbs should be buried at a depth of 10 cm from late in summer to early autumn. They should be spaced at about 10 to 15 cm apart and can be grown in sunny or partially shaded parts of the garden. Ideally the soil that plants grow in should be fertile and have excellent drainage. If growing from seeds then sow outside towards the end of summer. Lightly cover the seeds once sown. It is much easier to grow Sternbergia from the abundant bulblets that they produce. It is important to frequently water Sternbergia plants during their growing season as they are thirsty during their vegetative stage. Once flowering growth starts they do not require as much water. Following blooming the plant leaves will wither. Once they have withered completely it is safe to cut Sternbergia leaves off to tidy up the plant. If you require more plants then they readily produce bulblets in the autumn.